Product lifecycle management (PLM) has come a long way in just a few years. Throughout the 1900s a product’s lifecycle held a similar concept to today’s understanding: introduction, growth, maturity, decline. What’s changed is the management of that lifecycle. PLM was created as a manufacturing tool to track the millions of parts from hundreds of manufacturers. Today, most companies across several industries are dependent on it to be successful. And, if your company hasn’t created a digital strategy for PLM, you’re at risk of being wiped out by the competition. Product Lifecycle Management is the process of managing your products from ideation to product commercialization. But, why is a digital transformation plan the key to implementing a PLM solution and its ultimate success? Using a PLM solution for the product lifecycle allows your company to hold a single 360-degree view of each product throughout the entire lifecycle. This permits all of the people and products involved to become coordinated at any stage. If you do it right, the benefits can result in better collaboration, fewer errors, faster time-to-market and, ultimately, the ability to reduce costs and achieve higher returns on investments. It’s imperative that the quality of your data is one of the first considerations in your digital transformation strategy. While a PLM solution can solve many of the data quality issues by providing that single view of your products, it still has to be someone’s job to monitor the data. For instance, if your data isn’t cleaned before it’s dropped into the PLM solution, then there’s a possibility that you’re already starting off on the wrong foot. Unless someone within the organization spends time cleaning that data, then it remains in poor quality, causing more problems down the road. Furthermore, if there are systems outside of your PLM system (like an ERP or CRM) then problems may still lie within the organization as a whole. As mentioned, PLM is no longer just for manufacturing. Retail’s changing landscape calls for reduction in time-to-market, better collaboration with suppliers and a higher ROI. 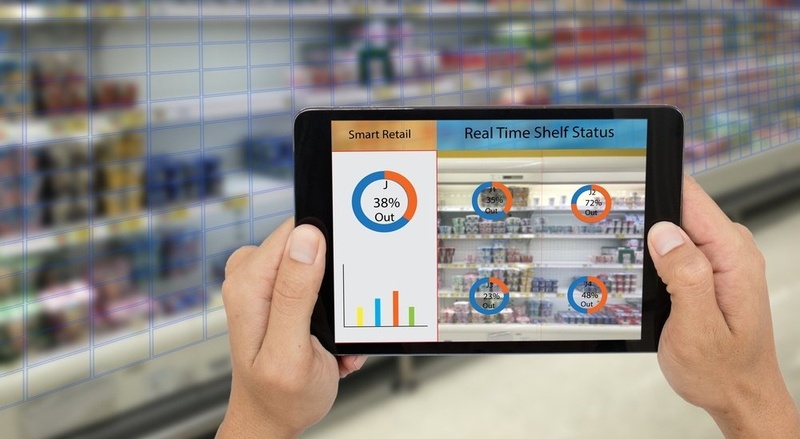 That being said, it’s just as important for today’s retailers to jump on the PLM train and acquire a digital transformation strategy. While product development is key to success, today’s market often shows an over-saturation of products. You have to ensure your products enable success and meet customers’ needs, which are constantly changing. PLM software gives companies the ability to work together through the development process by providing valuable insights and allowing necessary changes to be easily made. Given these abilities, businesses can focus on the meaning of their data as it applies to their business strategy rather than constantly entering data. Given the aforementioned changing landscape, real-time consumer feedback is one of the prime components of success available to retailers, consumer goods companies, the automotive sector and more. A large development in implementing a PLM digital strategy is considering the Internet of Things (IoT) and its helpful effects. Whether you know it or not, you’re engulfed in the IoT, its sensors and the data it feeds back to companies for analysis. As noted in this interview with Infosys, IoT can create a domino effect in the PLM process. Kavanaugh provides the example of a connected car: “Take the basic action of starting an automobile. This activates many embedded sensors, where each sensor has a specific role and predefined data-gathering scope. Once the consumer starts driving the vehicle, additional sensors come to life and start recording or transmitting data based on instructions and computational algorithms. The combination of sensors, analytics and feedback creates a cascading set of communications between the original equipment manufacturer (OEM) and vehicle that allows secondary and tertiary responses based on the initial input.” Overall, IoT sensors and data remove the guesswork from the PLM process. When you have real-time feedback and answers from consumers, you’re ensuring that ROI on your products and giving the consumers what they might not even know they need.